Tammi J. Truax is the 12th Poet Laureate of Portsmouth. Tammi, a graduate of the University of New Hampshire, works with fourth-grade writers at an elementary school and as a Connections program facilitator for the NH Humanities Council teaching new adult readers. She has lived and worked in New Hampshire, Maine, and Germany, and has taught in a variety of nontraditional settings from preschool to prison. In 2008, with NH poet Kyle Potvin, Tammi founded the non-profit The Prickly Pear Poetry Project: Processing the Cancer Experience Through Poetry. Children’s literature is a lifelong passion for her and she has several picture books ready for a publisher. She was editor of a new release of Lady Wentworth; A Poet’s Tale by Henry Longfellow (illustrated) (Bookbaby, 2013), and released her debut novel Broken Buckets, as an eBook the same year. She is a published poet in seven anthologies, including The Widows’ Handbook: Poetic Reflections on Grief and Survival, Edited by J. Lapidus and L. Menn, with a foreword by Supreme Court Justice Ruth Bader Ginsburg (Kent State University Press, 2014), and has a short story in an anthology called Compass Points (Piscataqua Press, 2015). A volume of her poetry is due out in Feb. 2018 by Hobblebush Books. Her work can be found in several journals, newspapers, magazines, and online, including at The Huffington Post. In 2014 she was the first winner of The Provenance Prize for creative short fiction, and in 2013 and 2015 was selected to be one of the writers at A Room of Her Own Foundation’s retreat at Georgia O’Keefe’s ranch in New Mexico. In 2015 and 2016 Tammi was awarded the Buffler Poetry Residency at Portsmouth High School. She was also chosen in 2015 to attend Vermont’s When Words Count writing retreat. Last September The Maine Writers and Publishers Alliance awarded her a scholarship to attend the 2016 Slice Literary Writers’ Conference in NYC and was recently selected to attend The Tin House summer workshop this year. Tammi is a member of many writing and historical associations. The project she is working on now is a historical novel for middle-grade readers. Here are the words that 10th poet laureate Katherine Leigh used to introduce Tammi at the passing of the quill ceremony in city council chambers. “Poets come to be poets laureate by circuitous routes. Each is so presented with the gift of a magnified opportunity to touch the lives of others. Tammi Truax shares my affinity for the Shakers. Once she cooked a Shaker feast for friends, authentically prepared and served. Once she gifted me with a framed print that states ‘sweep clean’, a saying of Mother Ann Lee’s. Tammi’s words are authentic and her inner compass sweeps clean. She offers a feast of diversity, wholesome and delicious. Since her first book released in 2013, Broken Buckets, dealing with gun violence and mental health issues, through her exhaustively-researched historical fiction on the life of Ona Judge Staines, to her soon-to-be-released poetic work, For To See The Elephant, Tammi has spoken out about social issues and presented accurate historical accounts concerning slavery and animal rights. In my early days of knowing Tammi, she was hosting Beat Night, now in its twentieth year. 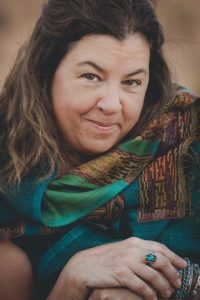 She serves as Maine’s Beat Poet Laureate and also advances her own education through graduate studies while maintaining an ongoing daily influence in the spectrums of many of Portsmouth’s school children and their families.